Oxygen & Helium sold by cubic ft. at (fluctuating) market price. Call to get a current estimate. Full price for first day & half price for each additional day. Please rinse off all equipment. All wetsuits and accessories returned soiled will be assessed a mandatory cleaning fee of $10 per item. 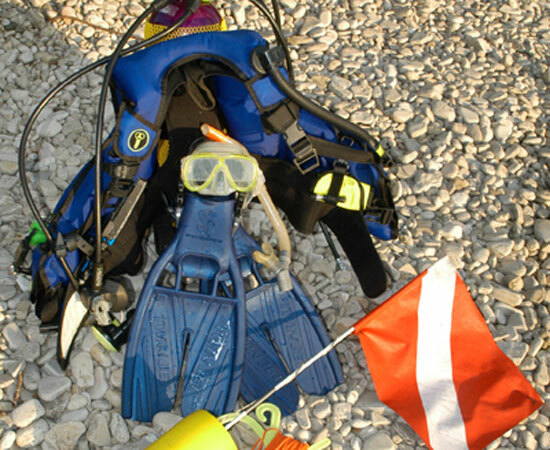 A Diver Certification Card is required to rent any scuba diving equipment (Regulator or BCD). Divers cannot rent scuba diving equipment for a dive buddy unless we have your buddy’s certification information. It's best to reserve your rental equipment in advance to assure it's availability. Call (920) 468-8080 to reserve.